Cartoon Network’s Justice League Action has been putting out some pretty great animated shorts over the last few months, allowing the series to get even sillier with the mountains of DC backstory at is disposal than it does in its regular run. This week, the show offered up a real treat for all the voice-acting nerds out there in the audience, releasing “Missing The Mark,” a love letter to Mark Hamill and his long history voicing various villains in the DCU. 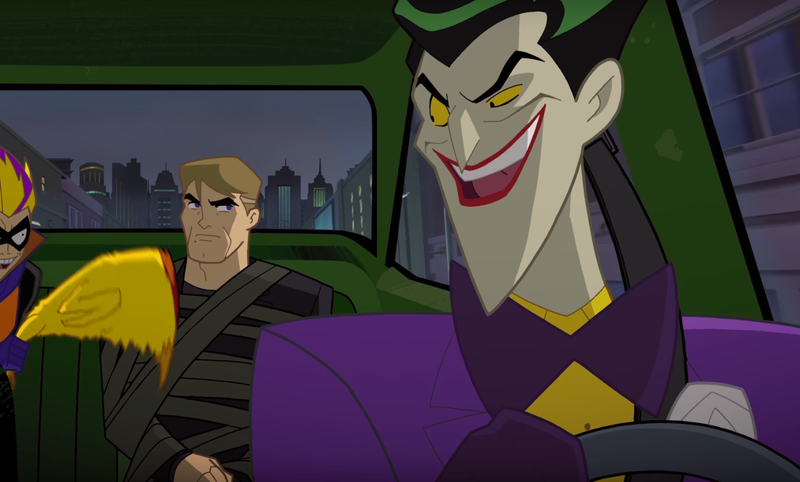 The short features not just Hamill’s beloved Joker, but also his Trickster, teaming up to kidnap Hamill to ransom him off for big bucks to the Hollywood studios. There are plenty of fun gags about Hamill’s career as he gleefully talks to himself, hopping between the characters at rapid pace. Like most of these JLA shorts, it’s slight but delightful, a quick burst of nostalgia for fans of Hamill’s history behind the mic.